What are the signs of the Twin Flame or Soul Mate connection? When you've met the person you believe to be The One, there are consistent indications that have been reported by people world-wide. A Soul Mate and your Twin Soul are capable only of reflecting back to you as much of the Twin Flame Essence as you are embodying yourself. Imagine that your Soul Mate or Twin Soul is a bowl of clear water. As one is magnetically attracted to you in the most intimate relationship, they agree on a soul level to hold up a mirror for you. The reflection would then be like dropping red food coloring into the clear water. The fundamental element of the water remains the same, but it now has a new color, a new aspect for you to view. The Twin Flame Essence you are embodying can reflect in its complementary form through another. Remember, this is an energetic (spirit) essence and it doesnâ€™t wear skin and bones! It can overshadow the one before you. How do you recognize it in another? Thatâ€™s a no-brainer. Can you recognize yourself? Even though they are God as you reflecting your complementary energetic form, they are still you! Over the years I have interviewed countless people who claim to have met their beloved. As they described their relationship I discovered common denominators reported again and again. â€¢ Even in your initial encounter, you instantly recognize each other and have a feeling youâ€™ve known one another forever. â€¢ The heart beat quickens in their presence. â€¢ Rarely does the relationship require the usual time to get to know one another. It initiates with intensity and immediacy. â€¢ There is an electrifying feeling of orgasmic energy that sometimes begins in the groins but always ends up in the heart chakra. â€¢ You find you desire no separation and youâ€™ll usually work together for a common goal even if your work is only complementary in nature. There is no competition between you. â€¢ You are sovereign beings. There is no co-dependence. This involves a freedom youâ€™ve rarely experienced in your incarnations; freedom without the need to own or control another human being. â€¢ You are in a constant state of giving love with no thought for what will be returned. Ego steps aside and quits asking â€œWhatâ€™s in it for me?â€� very early in the game. 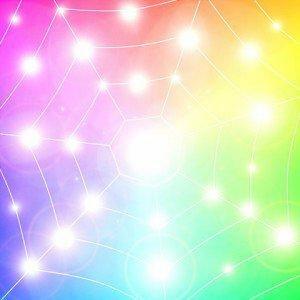 The energy of love grows swiftly and becomes so magnified between you itâ€™s as if there is a constant flow of orgasmic energy felt at every chakra. â€¢ Thereâ€™s a great awareness of joint purpose that usually involves service to humanity on a large scale. â€¢ Even though you most likely havenâ€™t fully developed your soul on all levels, any limitations are accepted and loved automatically. â€¢ Youâ€™ll often find yourselves experiencing an ongoing NOW that exists outside of time and space. â€¢ There will be a deeper, natural understanding of the sacred union of physical sexuality and you quickly learn to control and utilize the sexual energy for higher purposes. â€¢ If any karma exists between you from relating to each other during your various incarnations, it will swiftly surface to be dissolved and consumed. â€¢ All possible obstructions to love will rise to the surface in an exaggerated and magnified manner, forcing you to break all barriers to love. These reported signs of the Twin Flame, Soul Mate, are not all-inclusive. It would be helpful for you to read my articles, What is a Twin Flame? What is a Twin Soul? and What is a Soul Mate? before you attempt to identify them. These are holy relationships and if viewed through the lens of ego, you could easily be thrown way off track.